Richmond, Calif. — April 11, 2016 — Alta Vista Solutions (Alta Vista) is proud to unveil its new logo and brand identity. As Alta Vista moves forward embracing new technologies and continuing its commitment to innovation, a decision was made to create a logo mark that is distinct and embodies the qualities that are important to the firm. The new design is an evolution from the previous look. Alta Vista will continue using the same color scheme and “Interstate” font type moving forward, with the primary change being the logo mark itself. The firm’s CEO Dr. Mazen Wahbeh states, “The new mark has a diamond shape representing both quality and the robust material strength that are core components of who we are.” The concept and design work was done in-house at Alta Vista giving the company a stronger connection to the new look. “The initials “A” and “V” can be found easily in the diamond and then by taking a second look you can find the “S” in a manner similar to how we often find solutions for our projects,” remarked Alta Vista’s President Patrick Lowry. Alta Vista is a Bay Area-based engineering firm that was recently recognized as the 20th fastest growing engineering firm in America by Inc. 5000. Alta Vista has quickly differentiated itself by performing customized quality management strategies for some of the largest infrastructure projects in the world. Over the past decade, Alta Vista has worked with public and private organizations to complete large-scale engineering projects that better serve their regions. 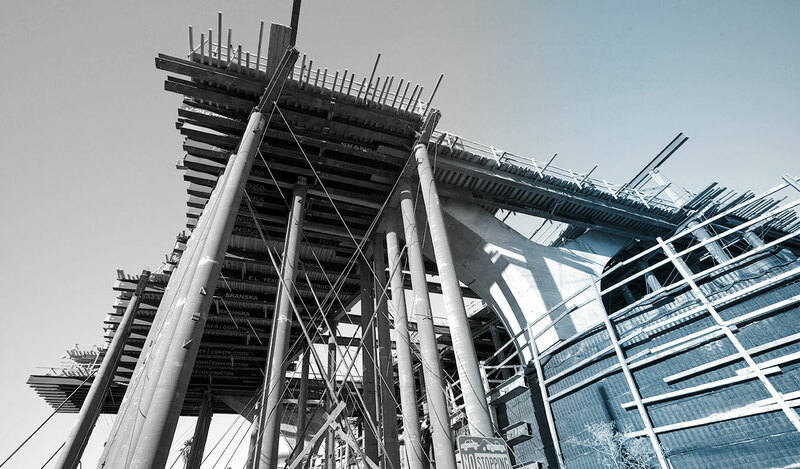 Known for engineering services that include Bridge Engineering, Civil Engineering, Construction Materials Engineering, Materials Testing, Construction Management, Program Management, and Structural Health Monitoring, Alta Vista is preparing to grow and diversify in exciting new ways that we will be communicating throughout 2016.